The Wine Ladies TV Hitting the high notes! Italian wine, food and song! https://www.thewineladies.com/wp-content/uploads/2013/10/domemassimoshowpic1.jpg 422 791 Susanne Seelig-Mense https://www.thewineladies.com/wp-content/uploads/2017/08/WineLadiesLogoTransparent.png Susanne Seelig-Mense2013-10-02 10:54:252018-02-11 10:57:58The Wine Ladies TV Hitting the high notes! Italian wine, food and song! ProAction Cops and Kids. 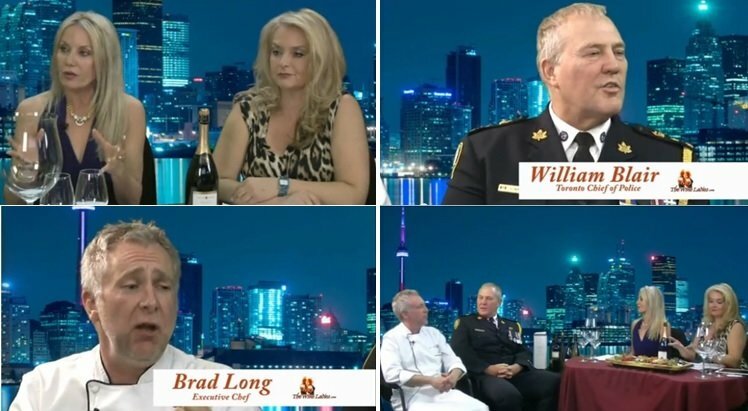 The Wine Ladies TV welcomes Toronto Chief of Police William Blair and Celebrity Chef Brad Long. We invite you o join us for aspecatcular event taking place in Toronto, May 11th one that will be sure to hit all the high notes when it comes to amazing foods,wines and entertainment, and all for a great cause! 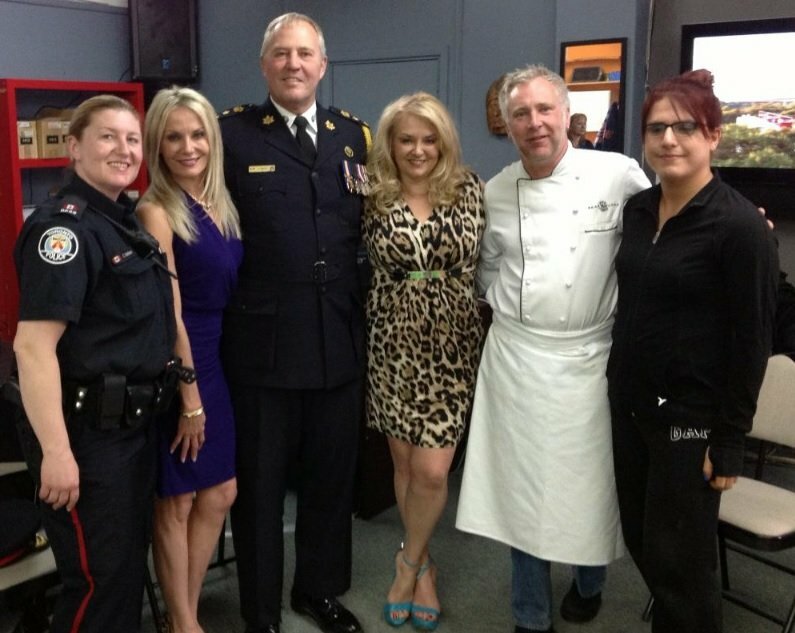 The event is the 1st annual Interactive Chef Night , being hosted by the charity “ProAction Cops & Kids”, an incredible program designed to help connect police officers with at risk youth. On the show to tell us all about it, we welcomed Toronto Police Chief William Blair, who started his policing career over 30 years ago as a beat officer in downtown Toronto. Over the years he has commanded so many pivotal roles, that in recognition of his many pivotal roles he was named Officer of the Order of Merit of the police forces in 2007. He shares the details of this very important police initative with our audience. Also on the show, one of our favourite Celebrity Chefs, Brad Long from Restaurant Makeover from the Food Network. 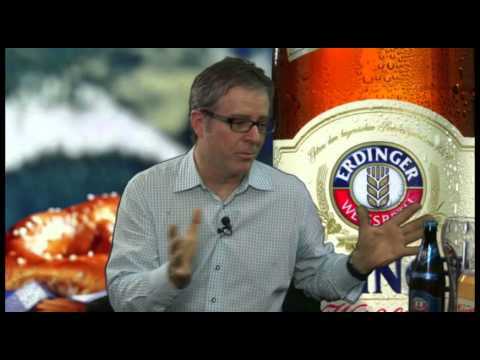 He shares with us some of the food trends, inspired dishes for the event and all things organic. Wines tasted on the show from Peller Estates. Also joining us on the show Constable Candy Graham of 11 Division in Toronto. Candy runs the popular “Cooking with Cops’ program , which is just one of the many ProAction Cops & Kids programs. Candy is also joined with one of her students from the program Alexia Rio. Love to Eat, Drink and be Merry! Join us May 11th for ProAction Cops & Kids Interactive Chef Night! https://www.thewineladies.com/wp-content/uploads/2013/04/copsandkidstvshow.jpg 645 690 Susanne Seelig-Mense https://www.thewineladies.com/wp-content/uploads/2017/08/WineLadiesLogoTransparent.png Susanne Seelig-Mense2013-04-28 17:44:402018-05-01 09:43:00ProAction Cops and Kids. 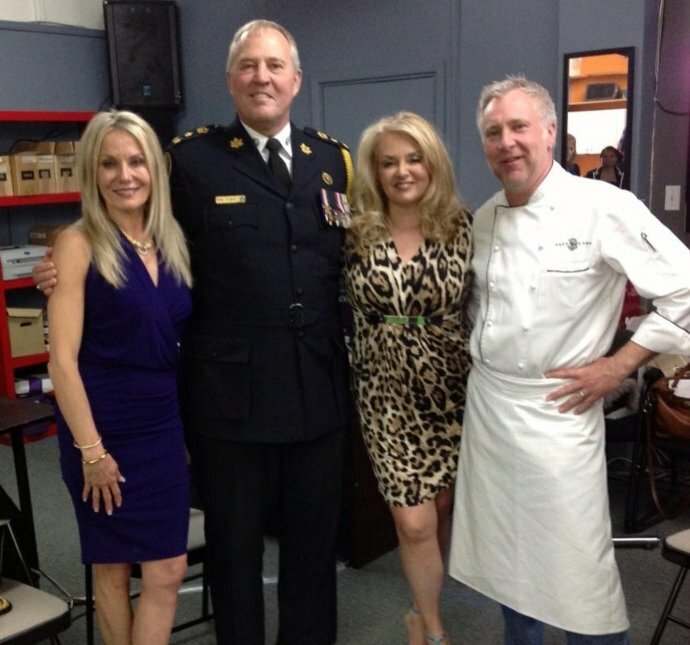 The Wine Ladies TV welcomes Toronto Chief of Police William Blair and Celebrity Chef Brad Long. 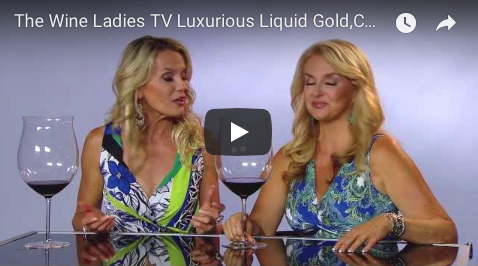 The Wine Ladies TV Luxurious Liquid Gold, Canada’s Iconic Icewine. The Ice House Winery. Luxurious Liquid Gold. Canada’s Icewine. 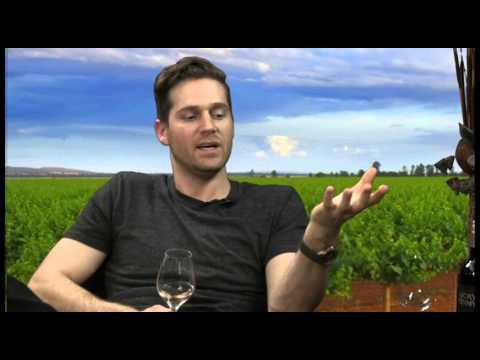 The Wine Ladies speak with Co owners Jamie Macfarlane and Karen King of The Ice House Winery in Niagara-on-the-Lake. Luxurious Liquid Gold. Canada’s Icewine. The Wine Ladies speak with Co owners Jamie Macfarlane and Karen King of The Ice House Winery in Niagara-on-the-Lake. Jamie also known as “The Wine Wizard” reveals why Canada’s Icewines are the best in the world. While Karen a “Sensory Specialist” shares pairing secrets other than sweets that go beautifully with this amazing wine. The Wine Ladies also make and enjoy The Ice House Winery world renowned N’Icewine Slushies. 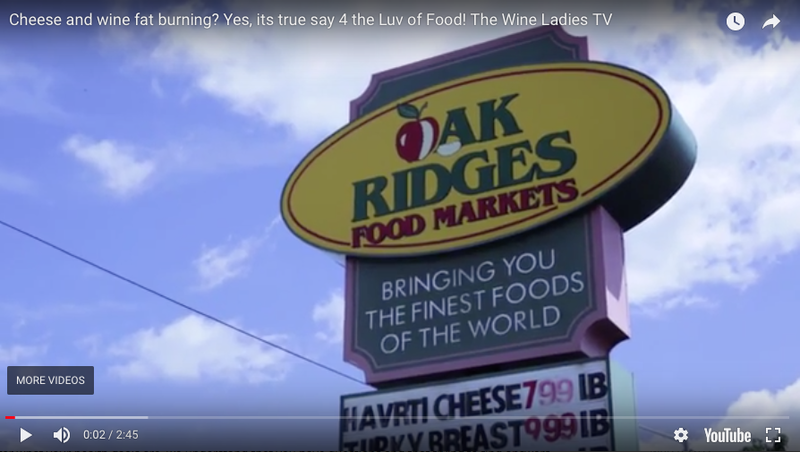 The Wine Ladies TV goes on a shopping expedition to Oak Ridge Food Markets. Our goal, to find unpredictable and healthy food pairings with Canada’s iconic wine, Icewine. What shall we find to pair with the Ice House Winery Icewines? While at the market they meet Shannon Clark and Danielle Greco from 4TheLuvOfFood who share with them some really good news! Cheese and wine, fat burning, yes, it is true! They say eat what you want and lose body fat without dieting! Get healthy and transform your body. Cheese and wine, fat burning? 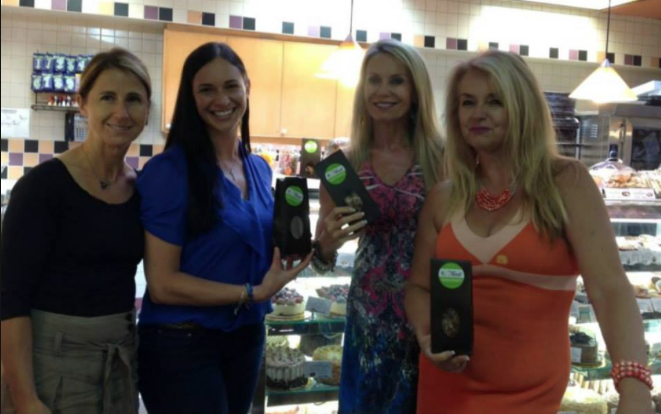 Yes, its true say founders Shannon and Danielle of 4 the Luv of Food ! They say eat what you want and lose body fat without dieting! Get healthy and transform your body!The Wine Ladies TV goes on a shopping expedition at Oak Ridge Food Markets for unpredictable, and healthy food pairings with Canada’s iconic wine, Icewine. What shall we find to pair with the Ice House Winery Icewines? Cheese is good, even Roquefort and Parmigiano if enjoyed with wine, paté is delish too! It’s about food combining and making balanced choices for optimal health and well being. We are in 100%, pass me a chunk of that homemade brittle please… it too is healthy! We love these gals! Stop the dieting, end the guilt and transform your body in just 12-weeks! No matter what your health goals are, we understand that you have questions and that trying to find answers can be confusing and overwhelming. Maybe you’re a single woman who wants to learn how to choose healthy options when you’re on that second date. Or maybe you’re a multitasking mom who requires more balanced nutrition than just eating your son’s leftover banana. You want answers and we’re here to give it to you. This is where the dieting stops and your transformation begins. Forget short-term fixes, we believe in a balanced approach that will last a lifetime. This is your opportunity to eat what you love but in the right combination to lose body fat without dieting! Get the results you’ve been craving and feel good naked in just 12 weeks! https://www.thewineladies.com/wp-content/uploads/2013/10/Screen-Shot-2018-03-29-at-9.59.18-AM.png 361 659 Susanne Seelig-Mense https://www.thewineladies.com/wp-content/uploads/2017/08/WineLadiesLogoTransparent.png Susanne Seelig-Mense2013-03-29 10:12:022018-03-29 10:44:46The Wine Ladies TV Luxurious Liquid Gold, Canada’s Iconic Icewine. The Ice House Winery.